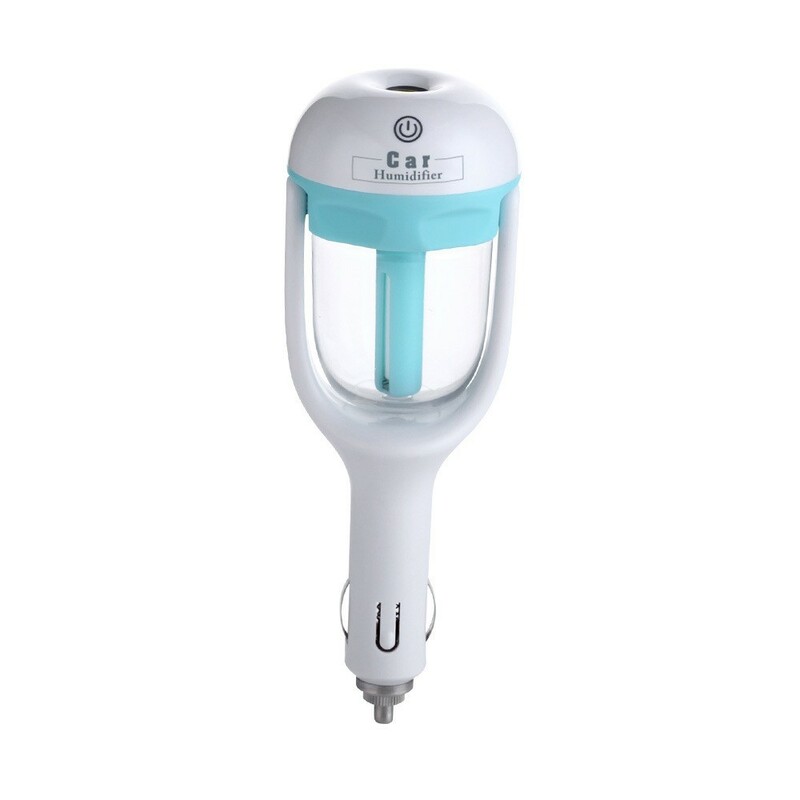 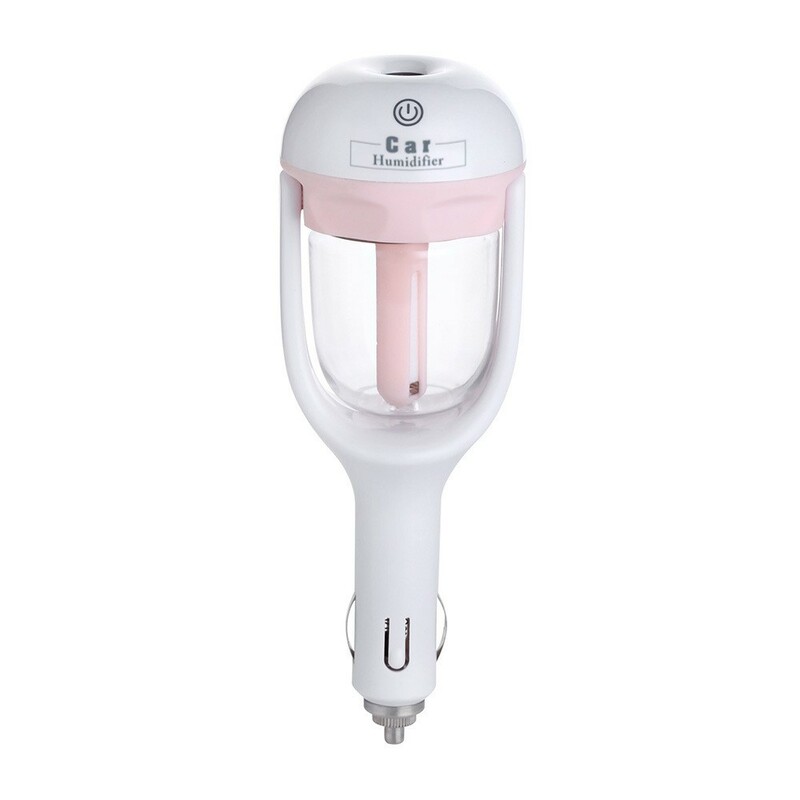 – AIR HUMIDIFICATION PURIFICATION: Ultrasonic atomization technology humidification and produce Anions, making the air moist in car, so that the skin more comfortable; sterilization, dust proof and remove static electricity, keeps away from air pollution. 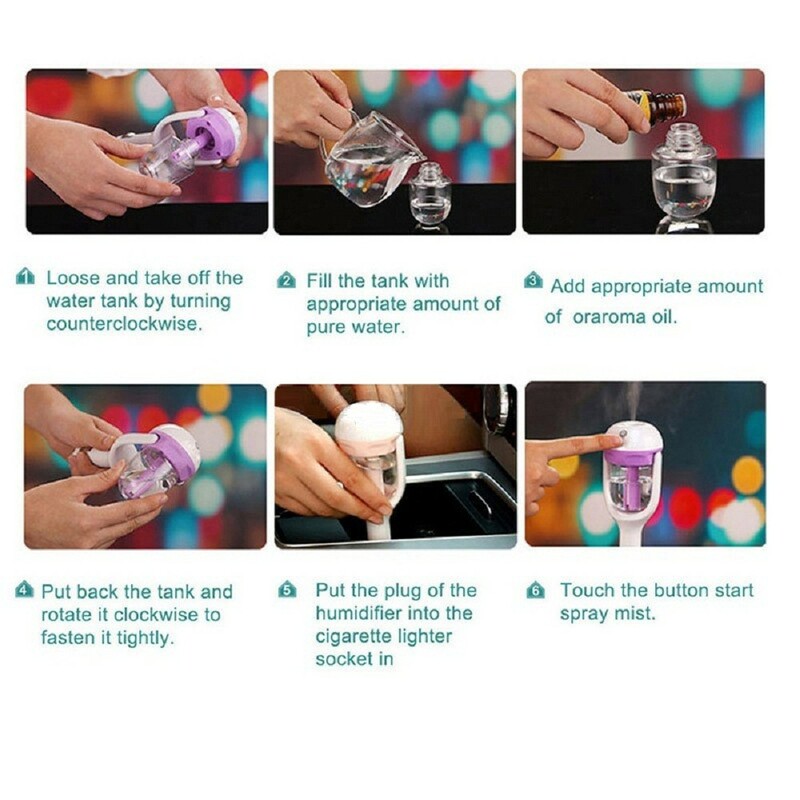 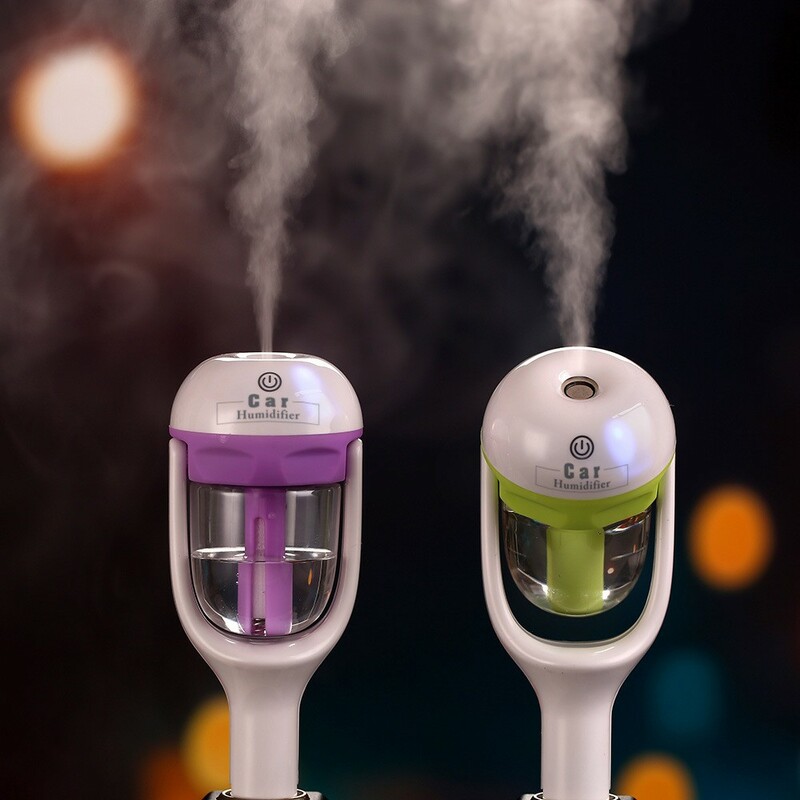 – AROMATHERAPY FUNCTION : Ultrasonic atomization technology can make essential oils more evenly spread, bring out the natural fragrance of essential oils, make skin more comfortable. 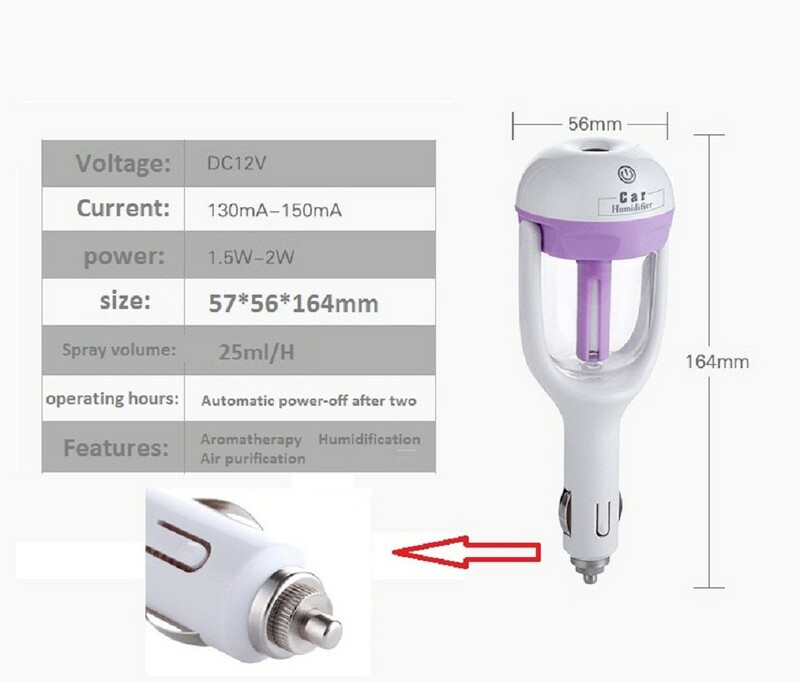 – AUTO POWER-OFF FUNCTION: Protected by the auto power-off function. 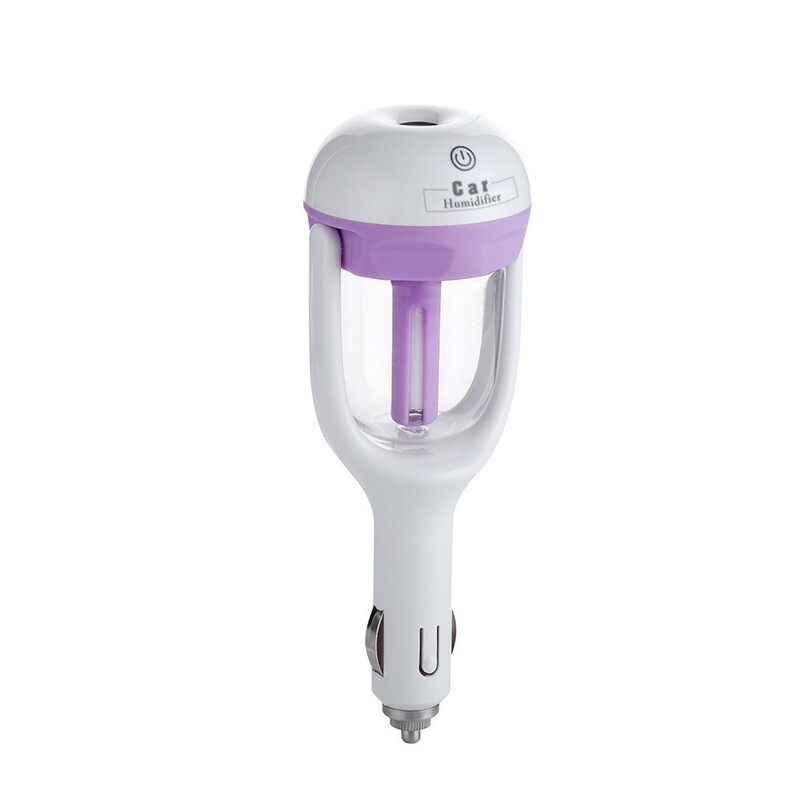 It will cut off the power automatically after continuously working for 2 hours, preventing potential harm from running without water. 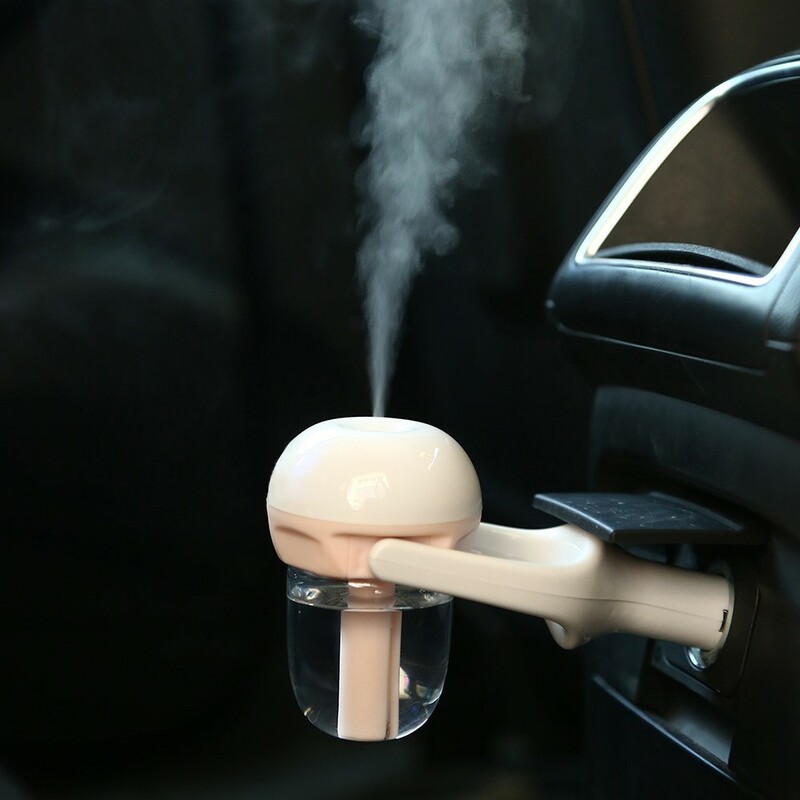 – ERGONOMIC DESIGN: Humidifier water tank could be 180-degree rotation with no leakage, standard car charger interface, which could be compatible with the most vehicles. 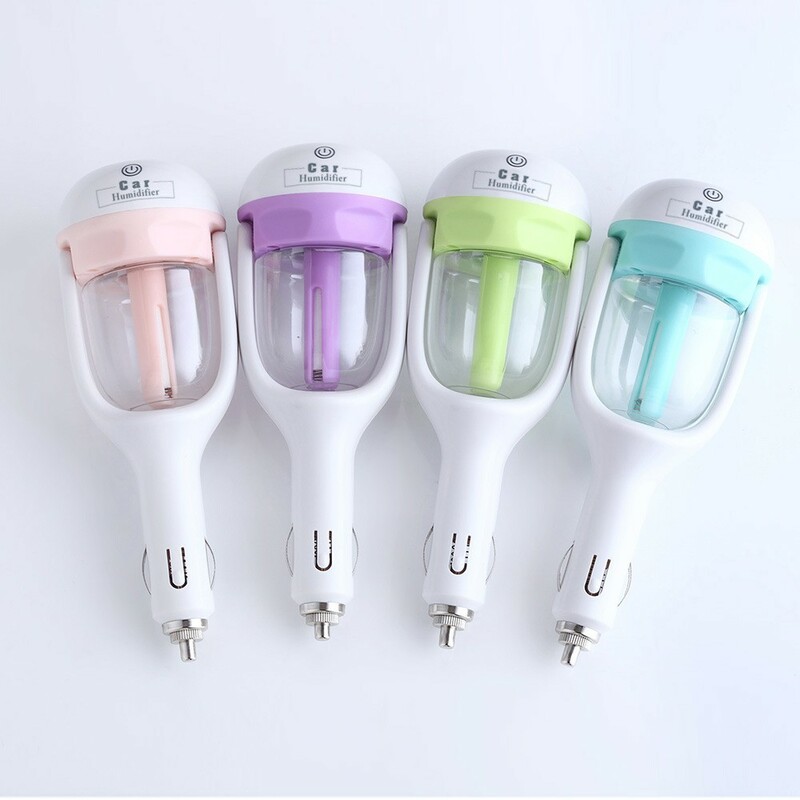 Includes charger design, no need to prepare the external power adapter or cable. 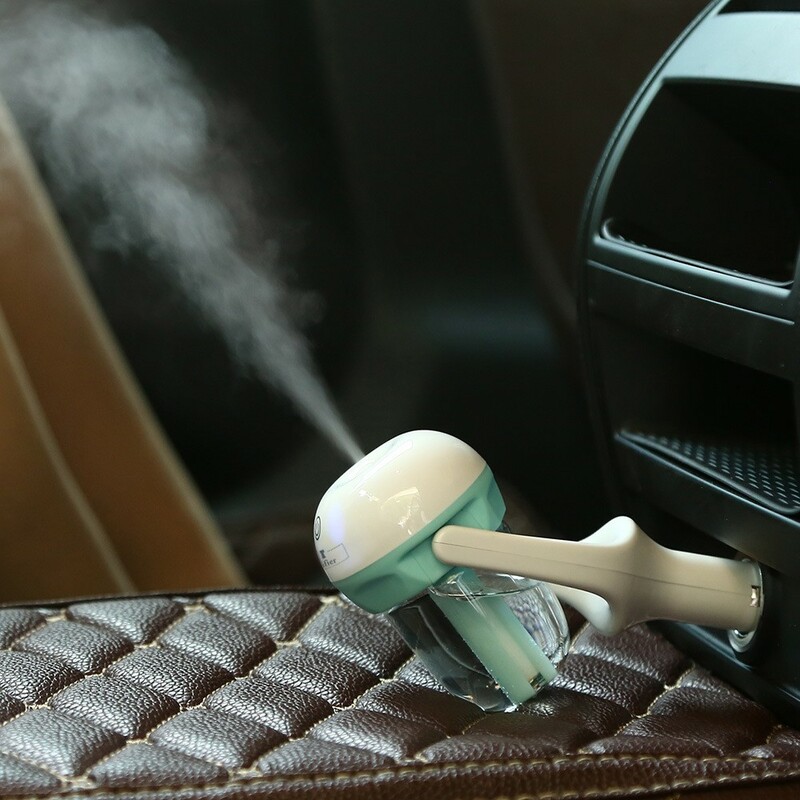 Simple to use, plugging the humidifier into your car’s cigarette lighter. 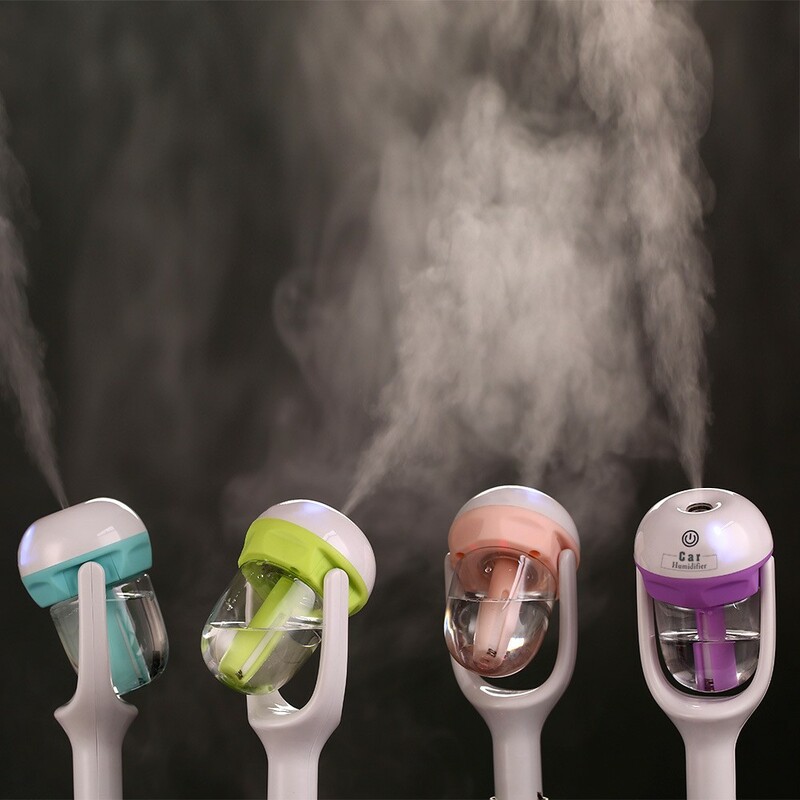 – CONVENIENT: If the air in your car is drying out your throat, nasal passages and skin, a humidifier can make a big difference. 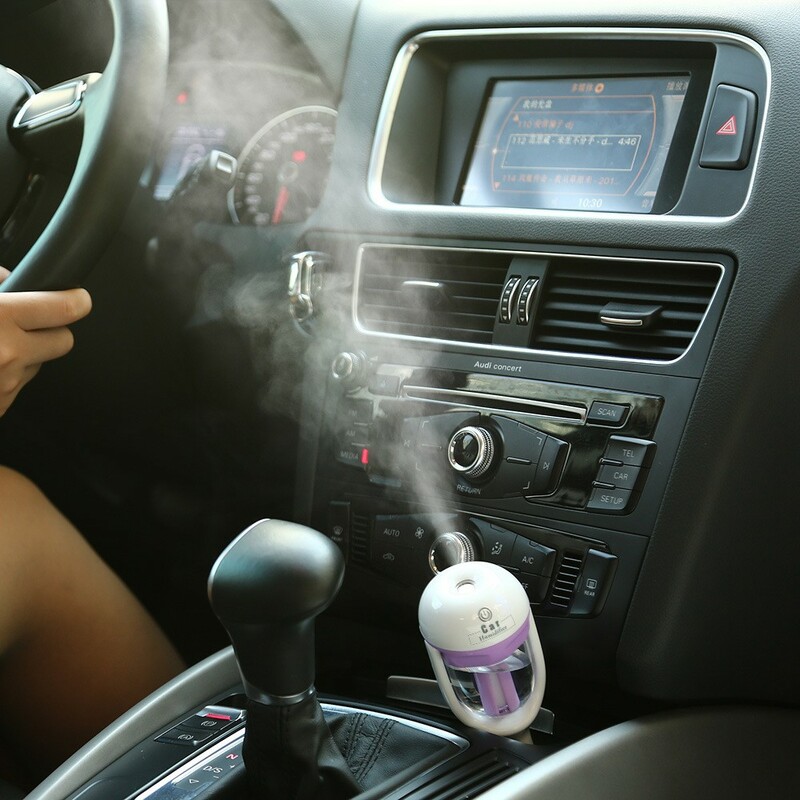 Humidifiers are particularly helpful in the car when the air naturally holds less moisture. 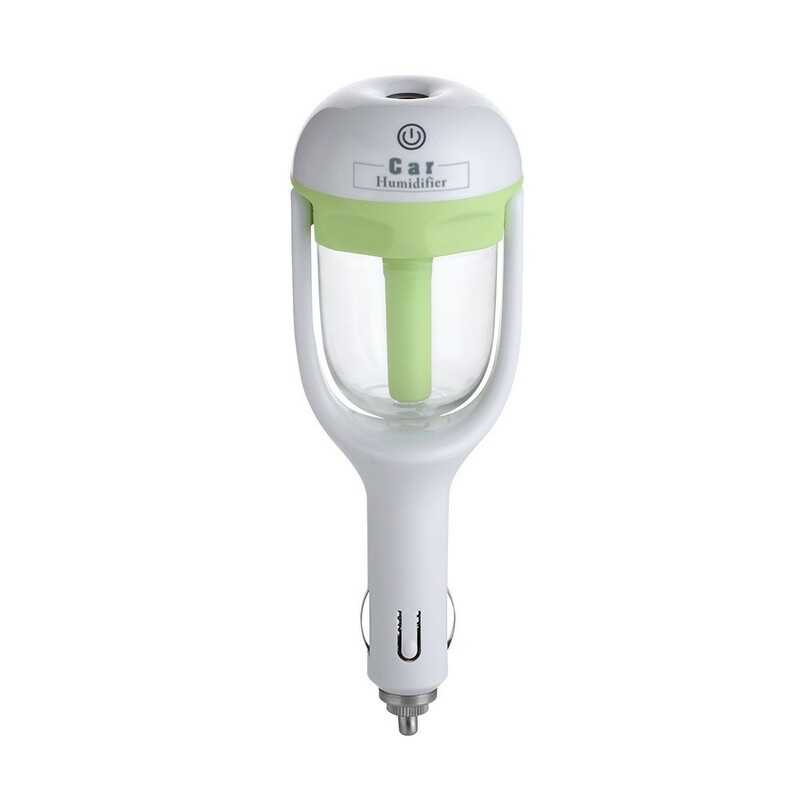 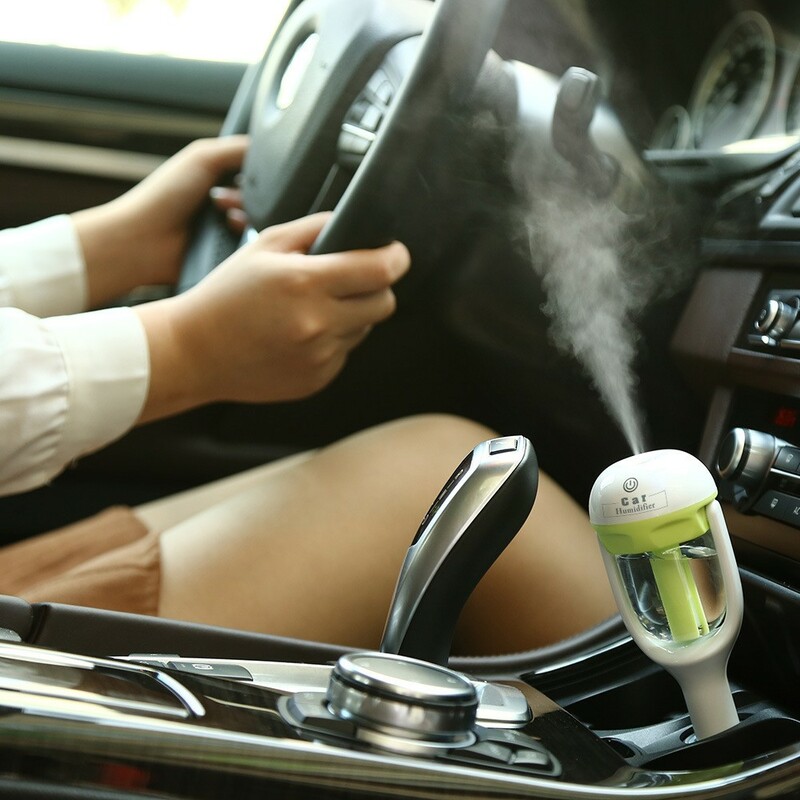 With a 25ml humidifying capacity per Hour, it’s enough to change the car micro environment and meet your needs.